On Wednesday, April 25, Amped Software will be at Digital Experience Belgium held at the Van der Valk Hotel Beveren. Digital Experience Belgium, organized by our partner DataExpert, is a one-day event for crime and fraud investigation specialists in Belgium. Digital Investigators, their Managers, and Crime Analysts from government departments and businesses are expected to attend this event. 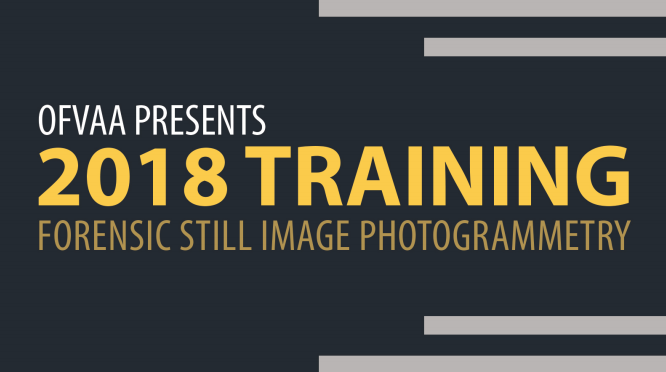 Workshops have been scheduled and topics range from CCTV Video and Image Analysis to Mobile Phone Forensics and Open Source Intelligence (OSINT). David Spreadborough, Amped Software’s International Trainer, will present a workshop entitled The Forensic Video Analysis Workflow, scheduled from 15:15 – 16:00. In this session, David will walk you through the FVA Workflow. From exhibit to conclusion, presentation and report, he will highlight how Amped FIVE has changed the way CCTV and video analysis is conducted by providing a complete toolset in a simple and clean application. Amped FIVE (Forensic Image and Video Enhancement) is a single application for the processing, analysis, restoration, enhancement, presentation, and reporting of CCTV, video and image files used in investigations. Utilizing a science-based workflow, each filter is documented and peer-reviewed to ensure complete compliance with local regulations ensuring accuracy, repeatability, and reproducibility. For more info and to register for the event, click here. This entry was posted in Announcements, Events on April 24, 2018 by Darlene Alvar. We just turned 10 – but there’s still so much more to do! 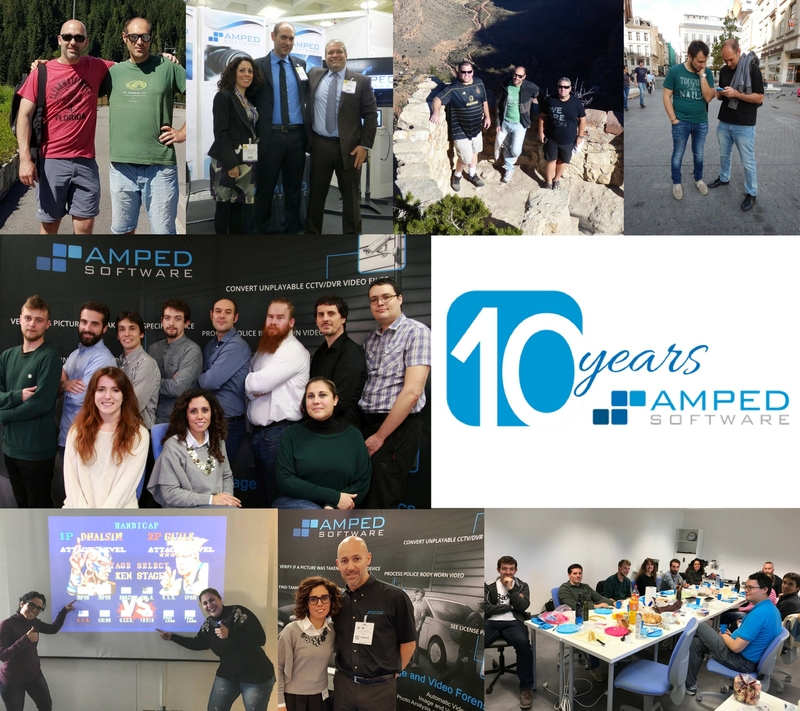 Today is the 10th anniversary of the foundation of Amped Software. In fact, I officially registered the business on 10th April 2008. It feels like it was only yesterday that I started the company, but at the same time, it feels like ages ago. It wasn’t always easy, but it has been an exciting ride so far. If there is something I am very proud of, it is the consistency of the company’s vision. Nowadays in the startup world, there’s this very common concept of pivoting. Start with an idea and then change the product, the market, or everything, until it works. Somewhat. This entry was posted in Announcements on April 10, 2018 by Martino Jerian. To which, my colleague in the UK (Spready) quickly replied – Amped FIVE’s Video Mixer set to Absolute Difference. Ding! Ding! Ding! We have the winning answer! Let’s take a look at how to set up the examination, as well as what the results look like. I’ve loaded an image into Amped FIVE twice. In the second instance of the file within the project, I’ve made a small local adjustment with the Levels filter. You can see the results of the adjustment in the above image. With the images loaded and one of them adjusted, the Video Mixer, found in the Link filter group, is used to facilitate the difference examination. 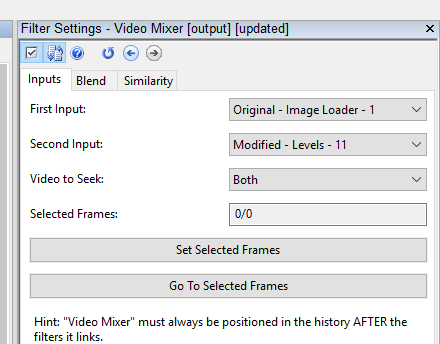 On the Inputs tab of the Video Mixer’s Filter Settings, the First Input is set to the original image. The Second Input is set to the modified image, pointing to the Levels adjustment. 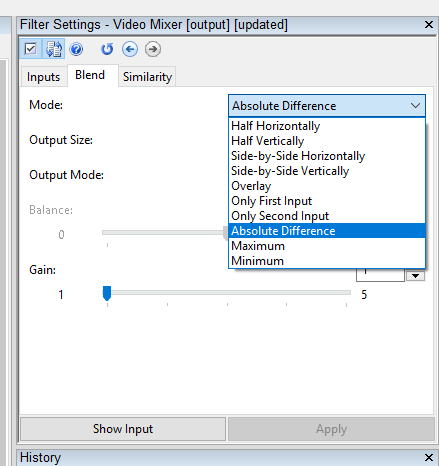 On the Blend tab of the Video Mixer’s Filter Settings, set the Mode to Absolute Difference. This entry was posted in Cases, FIVE, How to, Training, Tutorials on April 9, 2018 by Jim Hoerricks.